There are manuals and instruction guides for just about everything in life, and now there’s one for shopping, too. Before you head to the checkout line, follow these tips to always get the best price on your purchases at Macy’s. Macy’s — one of America’s best-known department stores — sells apparel, shoes, handbags, small kitchen appliances, bedding, home decor and more, and offers shoppers a wedding registry and catalog. It’s known for its hallmark “the magic of Macy’s” slogan. Shopping is fun, but shopping and saving is even better. Time your shopping just right with the help of this Macy’s sale cheat sheet. One Day Sales. Throughout the year, Macy’s hosts a series of “One Day Sales.” These events typically occur on Saturdays, with a preview day on Friday. Semi-annual sales. 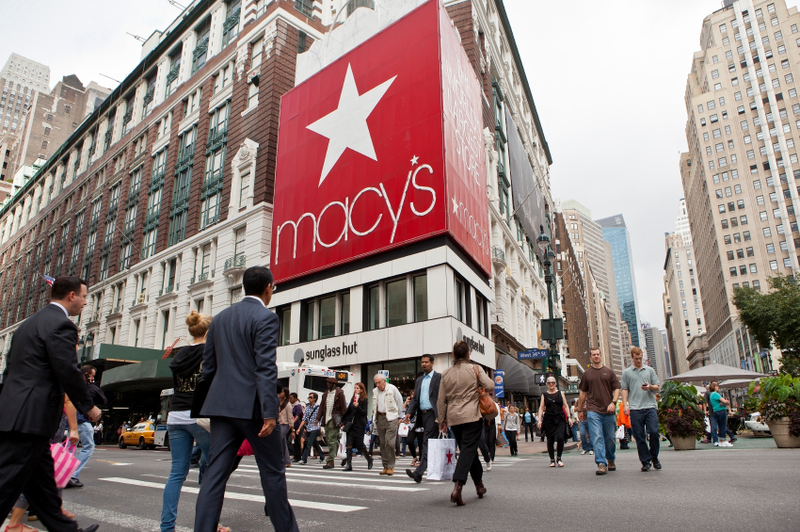 Like many other retailers, Macy’s hosts semi-annual sale events. In the past, these twice-a-year offers have included sales on home decor, jewelry and general clearance. Exact dates for these will vary. Major holidays. Pick your favorite holiday, and it’s more than likely that Macy’s will have a special sale event centered on the day. The store’s seasonal promotions include deals for Memorial Day, Fourth of July, Labor Day and more. Black Friday. Macy’s isn’t one to sit out the Black Friday deal hype. Visit the store (or shop online) on the day after Thanksgiving to scoop up some impressive discounts. Want to save money at Macy’s? Get an alert when there’s a great deal on Macy’s products. Shop regularly at Macy’s? You should consider Plenti, a free-to-join rewards program that allows you to earn and then use points on purchases. Other places that partake in the Plenti program include AT&T, Rite Aid and Hulu. Plenti rewards are even greater for Macy’s Credit Card cardholders. The store offers two credit cards: the Macy’s Credit Card and the Macy’s American Express Card. Cardholders can climb through three levels (Preferred, Elite, Premier Elite) based on their yearly spending at the retailer. The higher your level, the more bonuses (exclusive savings, shipping offers) you’ll receive. The Nerds generally don’t recommend opening up a retail store credit card as a new line of credit. Consider other options before you do. With expensive products like designer shoes and major items like mattresses, sometimes your bill at Macy’s can add up fast. But the department store has plenty of coupon opportunities for savvy shoppers. Before you submit an order or head to your local store, check the retailer’s “Deals and Promotions” page. It organizes all of the store’s ongoing offers in one convenient place. In-store shoppers can print a physical coupon; online customers should enter any valid promo codes at checkout. If you really want to be a Macy’s insider, sign up for email and text alerts from the store. That way, you’ll never miss news about a sale or event. As an added incentive to join, you’ll receive a coupon for 15% off your first purchase of $100 or more when you create a Macy’s profile. If you’re a new app user, you may be able to score a one-time discount on your first app order depending on the store’s offer at the time. Shoppers can score free shipping on all beauty orders. For everything else, the store offers free shipping with a $99 purchase. If you don’t meet the $99 minimum, a $10.95 flat shipping fee is charged. Of course that’s not the only way to save with cyber shopping. Customers can also buy their products online and then pick up their items in-store — all for no additional cost. And just in case you need to send back something you bought, Macy’s now provides free returns via mail. Simply print a pre-addressed shipping label to send back your unsatisfactory items, or return them to any Macy’s store. Follow the path to savings at your favorite department store by shopping during major sale periods, signing up for email/text alerts and joining the Plenti rewards program. You’ll enjoy “the magic of Macy’s” that much more knowing you got a good deal on the products you love. This post was updated on January 9, 2017.